This eBook will help you make the best first impression and assist you in getting the business you deserve. Download it by filling out form or in 30 seconds by using messenger. Your website is the new front door to your business! 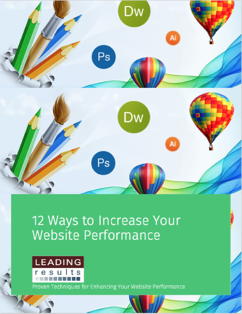 The 12 tips in this eBook address the most frequent mistakes we (the staff at Leading Results) see on websites and help you understand why your business should do things a certain way and then what to do!